Casa Tua at the Renaissance Marketplace is one of its signature piece. Casa Tua Marketplace offers a contemporary pizza menu with popular toppings as well as uncommon ones. Besides their famous pizza's the restaurant also offers a lunch and dinner menu which features a number of famous appetizers. 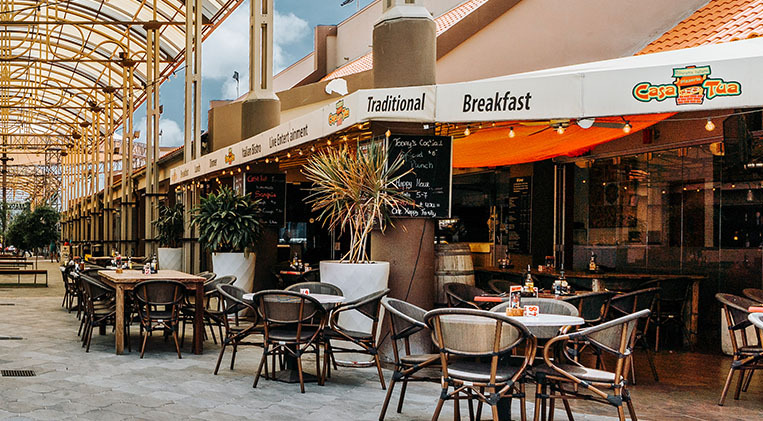 Happy cruisers and local band lovers, this is the place to enjoy delicious food while looking at the ocean and enjoying the atmosphere Casa Tua Marketplace offers you.